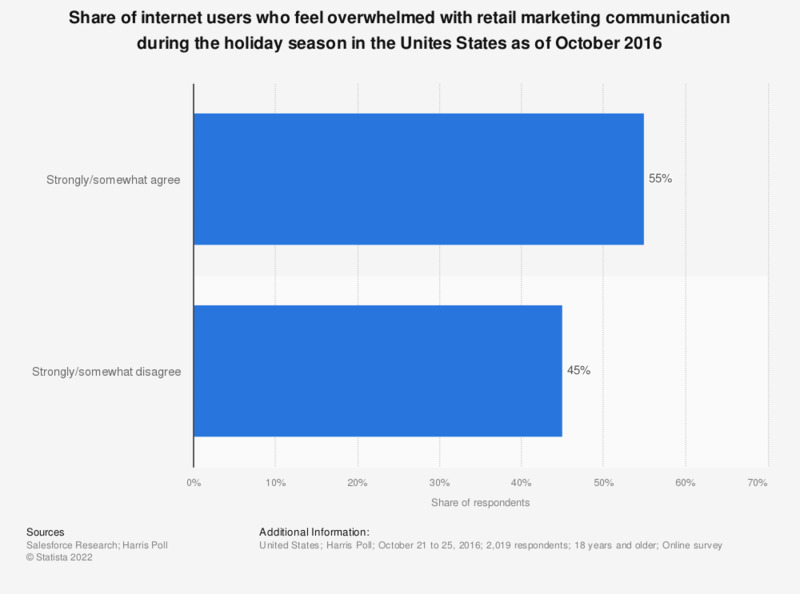 This statistic presents the share of internet users in the Unites States who feel overwhelmed with retail marketing communication during the holiday season as of October 2016. During the survey period, 55 percent of respondents stated that they agreed with such statement. Original sentence: I feel overwhelmed with retail marketing communications (e.g., emails, texts, catalogs) during the holiday season.